Tekashi 6ix9ine can't catch a break at the moment. TMZ reports the 20-year old rapper's former booking agents are claiming the money he's trying to use for bail belongs to them. 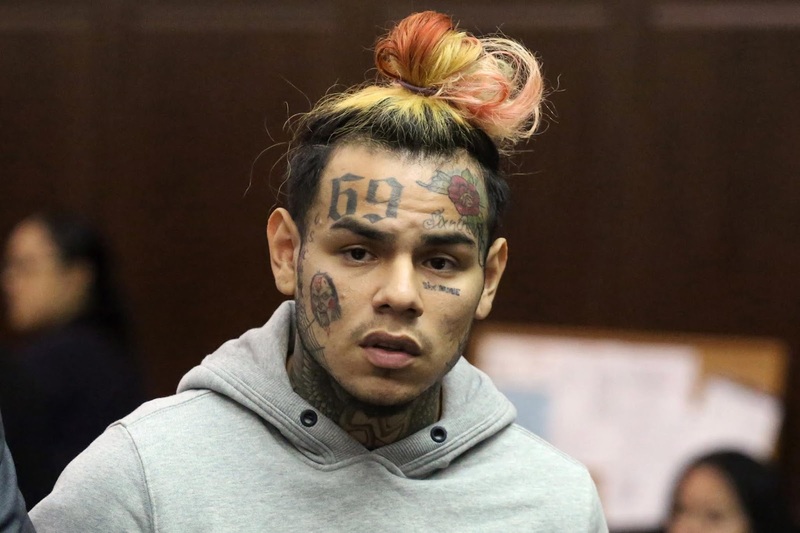 MTA Booking says a large portion of the money 6ix9ine's attorney offered up in court for bail is cash he owes them. The agency claim they already sent him $860k for deposits on upcoming shows in the U.S., Mexico and Germany and since it's looking likely the rapper won't be able to perform at the venues, they want their money back. Sources tell TMZ that MTA is working with its legal team to prevent 6ix9ine from using any of the money he owes them for bail. They're also threatening to sue him for making "malicious" and "defamatory" statements on social media and on The Breakfast Club. Last week during his interview with the Breakfast Club, the controversial rapper claimed MTA Booking cheated him out of some money, as he received only a few hundred thousand from a concert deal allegedly worth $3.6 million. MTA says the rapper's allegations damaged their reputation, and as a result, its booking agents are getting death threats. MTA has issued a cease and desist letter demanding 6ix9ine retracts and apologizes publicly or they sue him. Tekashi is currently being held in general population at Broklyn's Metropolitan Detention Center, while he awaits bail hearing later today.